ACTO Scanner : Piezo z-Stage for movement with sub nanometer resolution in vertical direction. 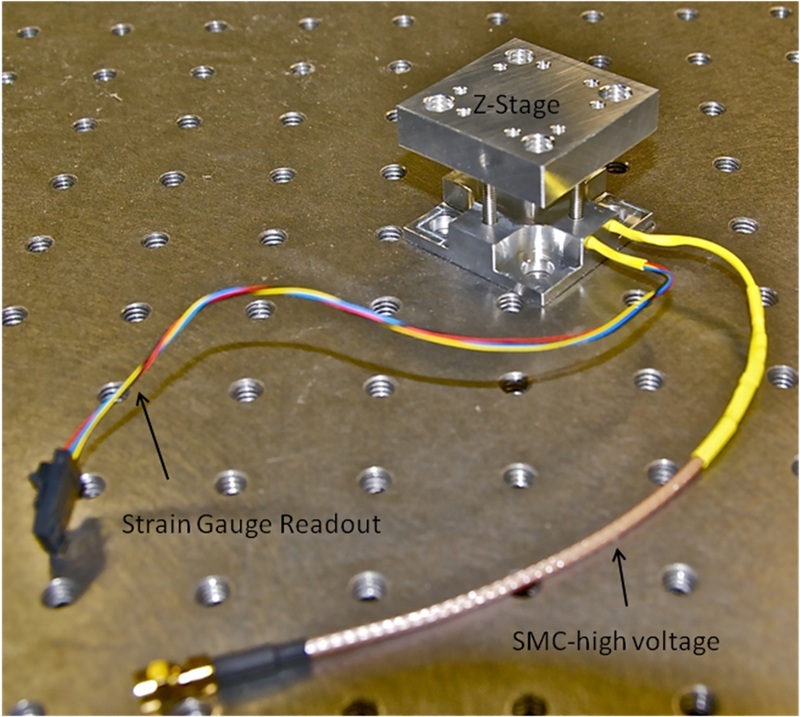 Strain gauge readout is provided for this z-Stage to achieve high precession and repeatability. As a microscope stage for precise focus control. Precise movement of optical elements and specimens. Confocal laser microscopy and spectroscopy. Near-field Optical microscopy and nano-photonics. Want to learn more? Contact us about ACTO Scanner! Always observe correct polarity on the piezo. If a reverse voltage is applied, the piezo may become permanently depolarized. Never exceed the maximum operating voltage. 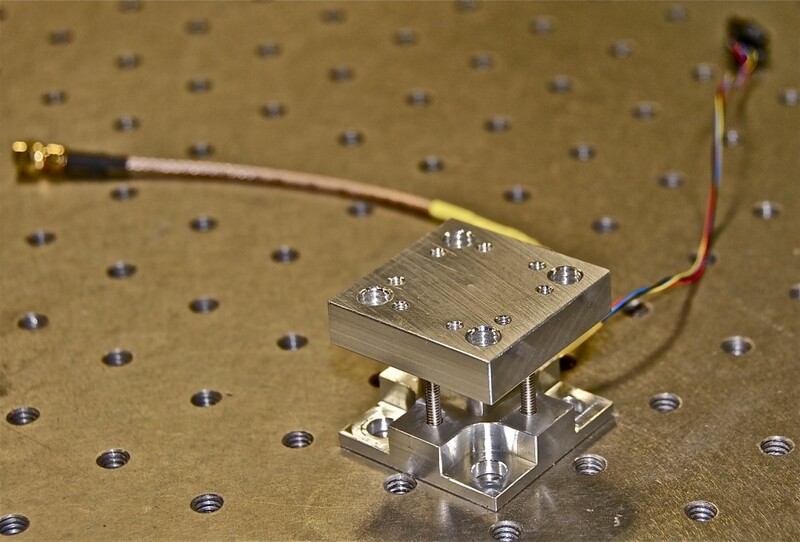 Due to the high voltages present during operation, the piezo stage must always be mounted on a properly grounded optical platform. Do not operate the stage if the cable or connector appear damaged in any way. Lethal voltages may be present. The stage is adjusted for proper preload at the factory. Please consult Actoprobe if adjustments become necessary. No tensile load should be applied. The stage will only work under compressive load. Avoid mechanical shock. The piezo-crystal may be destroyed upon impact. Do not operate or store in a humid environment. Moisture can impact the lifetime of the piezo-ceramic. Do not attempt to disassemble the stage. The stage is designed for operation in vertical orientation. Performance in any other orientation cannot be guaranteed. All piezos suffer from inherent non-linearities, hysteresis and creep. For all application, where high precision or repeatability are required, we recommend closed loop operation. We therefore offer the z-stage fitted with a strain-gauge which can be read-out with commonly available lock-in amplifiers, such as the Stanford Research Model 830. Alternatively, Actoprobe can supply matching readout and drive electronics. Contact us about ACTO Scanner!